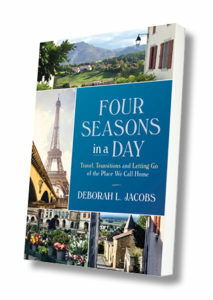 Deborah Jacobs, journalist and author of "Estate Planning Smarts"
Four years ago, I left an editorial job to spend more time traveling and writing books. Here’s what’s happened since then. This just in. The fourth edition of my critically acclaimed book Estate Planning Smarts: A Practical, User-Friendly, Action-Oriented Guide, placed in the Eric Hoffer Awards. A free update, mostly reflecting the recent tax overhaul, is now available for download on the book’s website. A new book. When our only child started college, my husband and I planned to rent our Brooklyn, N.Y. townhouse and Airbnb our way through France. When nothing went according to plan, I wrote a book about it. Four Seasons in a Day: Travel, Transitions and Letting Go of the Place We Call Home is the story of our misadventures. Back story. People ask me what it’s like to work while I’m on the road. 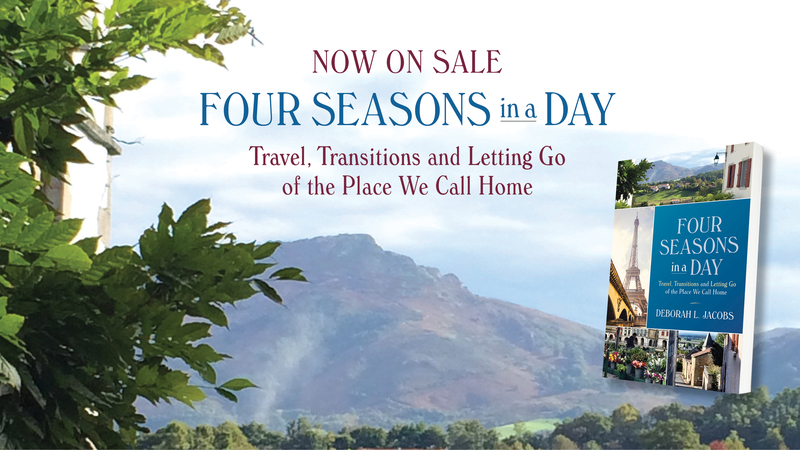 My recent article, “On Writing A Memoir in Real Time,” describes how I wrote Four Seasons in a Day. What’s next? After a three-year hiatus, I have relaunched my blog in a new home — on this website. You can use the box at the bottom of this page to subscribe, or follow future posts on Facebook and Twitter. Read about travel and the sharing economy, plus other topics that have been continuing themes in my writing, including: personal finance, estate planning and work as a tool for self-actualization. Privacy guarantee: I do not share subscribers’ names or contact information.